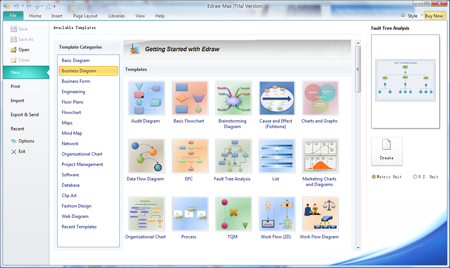 The Edraw Campus Agreement gives the University the right during the agreement to run the Edraw Max Software on all University-owned PCs. The University has the option during the term of this agreement to run the most current version, or any previous version of the Software, in any available language as applicable. Faculty and staff also have the right to run one copy of the software, for school-related purposes only, on a home PC, either a laptop or desktop that they own or lease. Edraw Campus Agreement is a lifetime licensing program that allows a customer to count the number of faculty and staff full time equivalents and multiply that by a tiered price. To order the campus wide site license, please contact us. Then we will send the order link.